Many people approach us asking us exactly what services we offer to the general public and exactly how we achieve our outcomes. We specialise in the power of authentic connection. We are effective and efficient in CONNECTING you to the various wellness practitioners and tailored personal development and wellness education services best suited to your wellness goals. We are here to assist you in your journey in EMPOWERING yourself with the best tools possible in your wellness goals. Our specialisation in natural health and wellness services treat; addictions, anxiety, depression, chronic symptoms, insomnia, learning challenges, mental health issues, vicarious trauma, trauma release. Simple, yes, easy up to you. The simplest way to get to know exactly what we have to offer is for YOU to make that first contact with us. We will be able to best assess your needs via our CHI Flow Program; a simple, yet sophisticated wellness education and personal development program that is the result of the accumulated wisdom and experience of CHI APT (Associate Practitioner Team) members who have studied under or collaborated with experienced local and international leaders in the field of wellness, behavioural change, peak performance as well as successful pioneering programs that have not only prevented recidivism, but allowed young teenagers to become well-adjusted parents with meaningful work and conscientious contributors to the community. Our service offerings are too diverse (not everything is listed on our websites nor MINDBODY app) and too much information can lead to confusion. There is no one size fits all approach. This Wellness Centre is open to those who are proactive seekers of a balanced and meaningful life of vitality and connection to an authentic and thriving community of conscious collaborators. One of our key signature programs is the CHI Flow Program. If our programs have been successful for the most traumatised of peoples who now lead meaningful lives... what can this program do for you? Transform problematic behaviour, addiction issues and other restraining factors in an enabling environment constantly charged positive. Our treatments, therapies and programs are safe, proven and effective. Immediate, cost efficient and highly effective assistance is available right now. We are health and wellness specialists, providing strong interpersonal relationships, pragmatic plans, useful information, peer to peer support, tailored specifically to you. Our approach to repair and recovery is refreshingly different. The CHI Wellness Centre is the only one of its kind in Victoria, open by appointment, Monday to Saturday. In order to keep updated, the best way is to register for our FriendsofCHI membership program. The proceeds fund our charitable works and keep you connected with our activities. If you would like to book an appointment, do a workshop, attend some classes please refer to the following link. Select our site. Then create a new account. The best step forward is contacting us directly via 03 9482 2357 for an initial consult via the CHI Flow Program (which automatically qualifies you as a Friend of CHI member* (terms and conditions apply). Our seated massage therapists love what they do and pass the irresistible “feel good” factor toward your community. We employ the best professionals in the field that have both high end attitude and aptitude. We bring fun and joy to work respectfully. All are qualified massage therapists and practitioners. Our therapists are well reimbursed compared to other corporate wellness providers, hence you are guaranteed the best. Our quality approach is consistent. Your clients receive customised treatments, tailored to their individual needs. No one size fits all approach. All practitioners are skilled in building quick rapport with clients and assisting with a professional and comfortable massage. You deal with local people, no overseas call centre hassles. 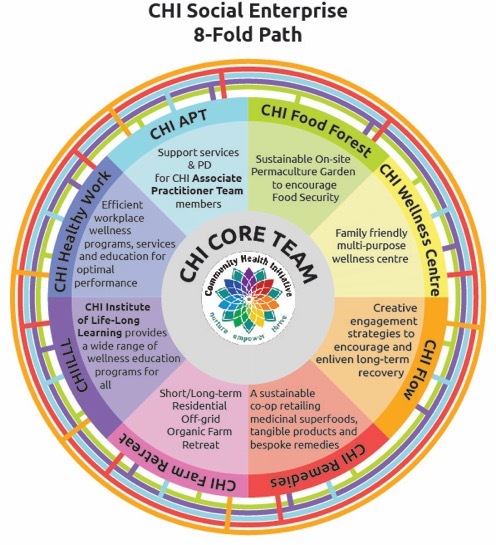 The CHI Flow Healthy Work Program provides a savvy blend of informative education and specific treatments designed to support the positive health of employers, employees and their families. Learn the secrets of ancient concepts and how to apply them in your modern healthy workplace context. We work with you to seamlessly integrate into your workplace with insights and innovations to increase work performance with minimum upheaval and maximum positive outcome. CHI Wellness Centre, Remedies & Healthy Products. Retailing modern remedies and quality handmade wellness products for positive healthy sustainable outcomes. Please email us via support @ friendsofchi.org or contact us via 03 9482 2357 for more information.